Like many other places in Indonesia, not many people know about Banggai Island, whereas this small island has extraordinary natural charm ranging from the pure white sandy beaches to the bottom of the sea rich with marine life and the beautiful underwater sceneries. Banggai Island is one of hundreds of beautiful islands in the Banggai Archipelago , crystal clear water, palm trees scattered everywhere, there is also a swimming pool that comes from springs. Very natural. Local people call it the Fountain of Luwuk Panenteng, the water is really clear and cool refreshing. 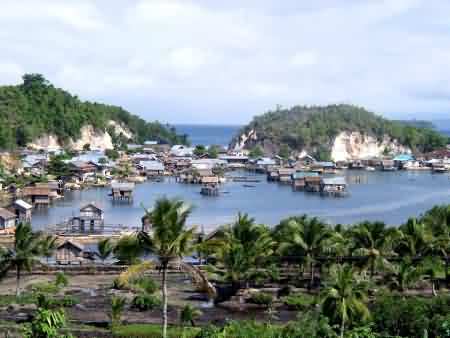 What’s more interesting besides the natural beauty of the Banggai is the artistic and traditional foods of Banggai. There are even relics of history, precisely at the city Town Square of Banggai, there stood a building called Kamali Boneaka which means “sacred house”. it’s a wooden stage house from the age of Babolau Kingdom that is still preserved well after hundreds of years since its establishment. 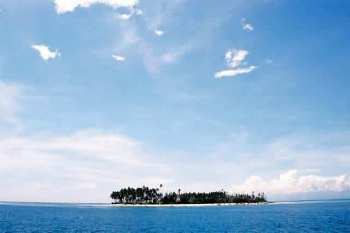 Banggai island is basically a deserted island with lack of visitors, it’s because, as already mentioned before, domestic and foreign tourist rarely heard about this island. 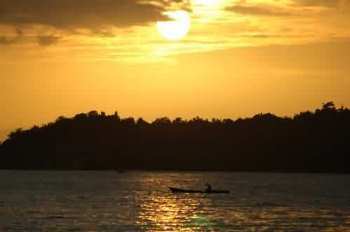 However, Banggai island will be crowded when the religious ceremony are held by the local people. The ceremony is called ‘Tumpe‘. It’s annually held after the locals harvest the egg of Maleo bird (which the egg size is 5x bigger than chicken’s), as a celebration. To reach Banggai, visitors could use commercial aircraft to Makassar, continued still using aircraft to Bubung Luwuk airport, from there Luwuk City, the journey to Banggai continued using the transport “wooden ships” that regurerly operate everyday. 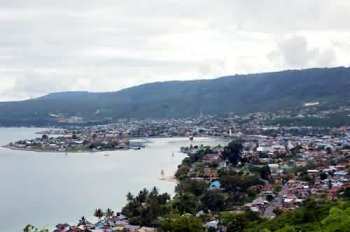 The second alternative is headed to Palu the capital of Central Sulawesi first, then travel overland to Luwuk approximately 350km by bus or rental car, and then using boat from Luwuk to Banggai for about 10 hours.